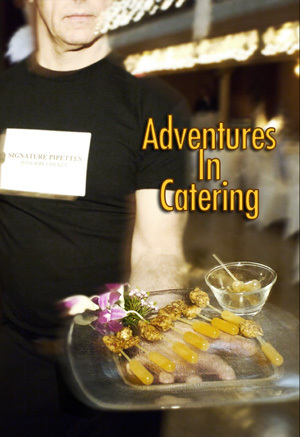 ADVENTURES IN CATERING is about the juggling act otherwise known as the catering industry. Courtesy of a selection of Canada’s hottest caterers to society and cultural events, charity balls and the occasional intimate gathering of the well-heeled and elite, ADVENTURES IN CATERING follows the behind the scenes “production” as we shadow the catering staff of each week’s event. We’ll watch in amusement and even awe as the event team moves from zero to 60 towards the moment of truth! Of course the travails along the way can be considerable. It’s definitely an ‘anything is possible’ proposition. After all, what’s a hugely successful seamless event without a little backstage drama? Will they be ready? Will the cake arrive intact? Will the ice-swans please NOT melt?